The disc offers two String Quartets, the early mysterious Nachtmusik for clarinet, cello, and celeste, the Sonatine for two violins, shaped by Polish folk tunes, and the Serenade for viola and piano, composed in New York in 1943 and published in 1954, three years after Fitelberg's death. After graduating from the Conservatory in his hometown, Warsaw, Fitelberg studied at Berlin's Musikhochschule, the finest music academy in Europe at this time. He fled Germany in 1933 to live in New York. 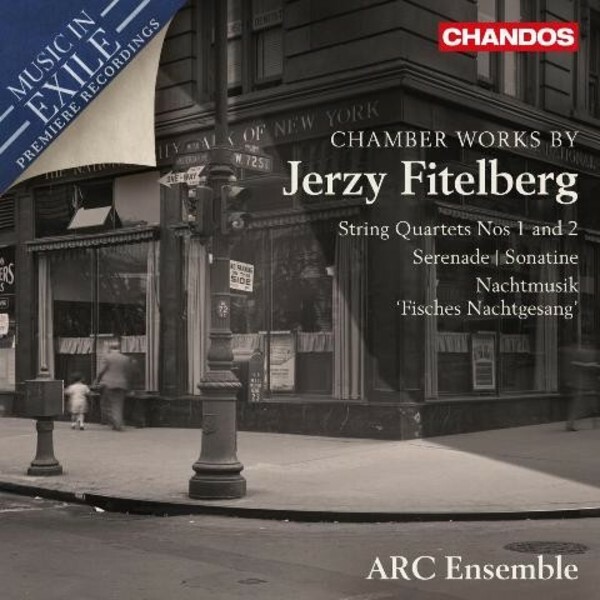 Fitelberg was well known and highly regarded, his music included in all the International Society of Contemporary Music's festivals until the 50s. However, like other music featured in this series, which Nazi Germany deemed entartete, or 'degenerate', his works were almost eradicated by the Third Reich and have largely been forgotten. It deserves a much warmer reception.